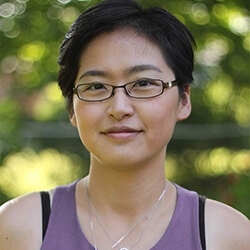 Dr. Kitty Shang graduated from the Canadian College of Naturopathic Medicine in 2004 with a desire to provide the most professional and compassionate care to clients of all ages. She is happy to work with other health practitioners to provide a comprehensive care. Dr. Kitty also enjoys engaging her clients with their own health care, by always providing thorough explanation on the diagnosis and the treatment required. Prior to her journey into natural medicine, Dr. Kitty was a quirky science nerd with a fascination for all things in nature. So it was no surprise to anyone when she graduated with Distinction from the University of Guelph’s Honours Bachelor of Science degree in Biomedical Sciences. Today, Kitty Shang continues her passion for learning in the fields of woman’s health, digestive health, chronic degenerative diseases, and cancer care. She sees herself as a problem solver. Working with “unusual” symptoms and conditions are her favorite part of being a Naturopathic Doctor. As a DONA trained Doula, Dr. Kitty works with women to rediscover their inner strength through labour. As a proud mama of two vivacious kids, Dr. Kitty is dedicated to provide all young children with a healthy foundation to life. Catering to her clientele’s unique physiology, Kitty Shang selects her treatment modalities based on the body’s ability to respond and the severity of the conditions treated. Dr. Shang has studied under numerous international and Canadian experts in fields of classical homeopathy, Bowen therapy, Western herbal medicine, traditional Chinese Medicine, biopuncture, intravenous nutrient therapies, and bio-identical hormones. Dr. Kitty is a licensed to practice in Ontario under CONO (College of Naturopaths of Ontario). She is member of CAND (Canadian Association of Naturopathic Doctors), OAND (Ontario Association of Naturopathic Doctors), OncANP (Oncology Association of Naturopathic Physicians), and formerly of APND (Association of Perinatal Naturopathic Doctors).